Plumb Xpress Plumbing and Drain understands that as home and business owners even the slightest plumbing problem is a terrible inconvenience. Plumbing problems always seem to happen at the worst possible times, and we understand that getting your kitchen or bathroom running again is of the utmost importance. Having an experienced professional plumber on call to handle your plumbing emergencies provides a peace of mind. 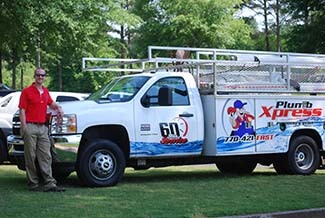 Our certified plumbers will arrive within 90 minutes of your call, prepared to handle any Acworth plumbing emergency. You can count on our technicians for skilled maintenance and repairs of your plumbing fixtures, pipes, drains, or sewers, along with plumbing upgrades and new installations. 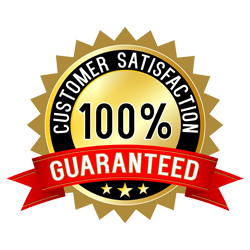 Choosing Plumb Xpress Plumbing and Drain means that you are getting a trustworthy name in Acworth plumbing, one with decades of experience and trained technicians standing by ready to serve. From regular maintenance to emergency plumbing, Plumb Xpress Plumbing and drain has the experience and knowledge to handle any commercial or residential plumbing job. From drain cleaning and sewer line repair to tankless water heater repair and Leak detection and repair, we have the know-how to handle your job at a price you can afford. At Plumb Xpress, we guarantee that one of our highly trained and qualified professional plumbers will show up on time and ready to tackle any plumbing situation. Our clean, courteous, and professional plumbers undergo rigorous training and our subject to random drug testing. You can rest easy knowing that Plumb Xpress will treat your home no different than we would our own. We feel that it is important to pay our plumbers a competitive hourly wage rather than a commission basis. Because of this the customer can be assured that they will never be recommended any unnecessary plumbing repairs. Before beginning a job one of our technicians will provide you with a breakdown of the recommended repairs and costs and help you in making an educated and well informed decision. 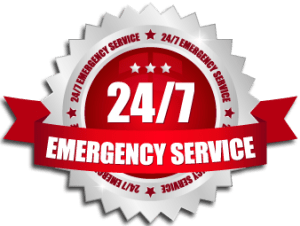 Plumb Xpress is available 24/7 to handle your emergency plumbing needs. If you need a plumber in Acworth, GA give Plumb Xpress a call. We want your business. For the bestAcworth plumber, contact Plumb Xpress Plumbing and Drain today. Drains are just one of those things that we never notice until they just don’t work. Overtime the build-up of soap, scum, hair, and various other solids can cause back-ups and in some cases the drains stop working altogether. Often times a DIY solution can be found, whether it be a plunger, snake, zip-it, or one of the many drain cleaning liquids available at your local hardware store. Plumb Xpress specializes in those cases when the DIY approach just won’t cut it. Whether it be your kitchen drain or your bathroom and floor drains, Plumb Xpress has the qualified Acworth drain cleaning specialists available to address your problem. Available 24/7 for all of your drain cleaning and emergency plumbing needs in Acworth GA, Plumb Xpress can and will have a technician at your door in 90 minutes. Plumb Xpress is Acworth’s expert for and all of your sewer line repair, replacement or installation needs. Our teams of professional and experienced sewer line technicians are armed with the latest inspection equipment to ensure the best service possible. Plumb Xpress will make sure that the job is completed in a timely manner and correctly, the first time. From preventive maintenance, cleaning, sewer line repair, or sewer line installation or replacement you can count on Plumb Xpress Plumbing and Drain. Plumb Xpress wants the opportunity to earn your business. As a way of saying thank you, we will provide you with a $25 coupon good for your next visit when Plumb Xpress performs any service at your home or business. For all of your residential and commercial plumbing in Acworth, call Plumb Xpress Plumbing and Drain today. Plumb Xpress is proud to serve the Acworth area, including, but not limited to: Acworth, Kennesaw, and Cartersville. Our service range includes customers within the following zip codes: 30144, 30152, 30156, 30160, 31144.